Whether it is a new cake recipe, the latest gluten-free adaptation or an innovative method of preserving cheese, there is so much scope for R&D. The global food industry is huge. Too big to accurately count even, but easily in the trillions of pounds. And logically, then, the global food and beverage R&D budget is vast too. There is constant pressure on producers to make food healthier, cheaper, free-from, ethical, long-lasting, organic… Whether this pressure comes from regulators, consumers or other sources there is always a need to innovate. As you walk around a supermarket, the cynical side of you may see shelf after shelf of marketing gimmick: ‘New and improved’, ‘25% less sugar’, ‘organic’. And we would not dispute the power of marketing within the food and beverage industry. However, behind some of this marketing will be extensive resource poured into backing up those claims on the packet or in the advertising. And behind that are a myriad of drivers that stimulate R&D in the food and beverage industry. Check out our R&D tax credit explained page and watch our eligibility explainer video to learn more. What drives R&D in the food and beverage industry? We have identified five areas that keep food technicians in the UK and around the world busy. Commercial factors– These may not be the most exciting reasons for undertaking research and development with food, but they are nonetheless important. They include factors such as improving shelf-life – a demand that may be made by a key distributor like a supermarket chain that can’t afford to see stock spoiling on its shelves. Or alternatively an efficiency drive – again, unsexy but important for making food and drink affordable to consumers and profitable for producers! Legal and regulatory change – Another fairly dry one, but significant. In fact, compulsory. This is when government, or a government agency puts its foot down and demands a certain standard is met. It can often be high profile, like the 2016 sugar tax announced by then chancellor, George Osborne. This said that fizzy drinks which contain more than 5g or 8g of sugar per 100 millilitres would face levies predicted to be 18p and 24p a litre respectively. Arbitrary changes like these can send R&D units into overtime as they have to decide how to reformulate their products without compromising on taste. Consumer trends– This is perhaps the most fluid driver of R&D in the food and beverage industry, and the one which can become most blurred with marketing gimmick. “How can we appeal to Millennials?”, “What are we going to do about a declining breakfast cereal market?”, “What should we add next to our free-from range?” There may be a strong corporate edge to this kind of thing, but really it reflects companies trying to deliver what consumers want. If they didn’t serve this function and drive innovation, we may all still be eating spam! Healthy choices, organic, free-from, local are all examples of trends to which food companies have to adapt. Ethical factors – A trend in itself, ethical considerations cover enough ground to warrant their own separate section. From animal welfare to fair trade, recyclable packaging to the debate around genetically modified food, there are numerous things that can drive research and development in the food supply chain. Process change – Behind the scenes, there are all kinds of things that go on that require research and development in the food industry. This is particularly true for manufacturers who operate on a large scale. Any requirement to increase output, improve standards or introduce new machinery is likely to require extensive testing to ensure that the end product remains consistent. So we see that food companies are being pushed and pulled in all directions in trying to make products that meet the demands of consumers, supply chains, investors and regulators. Once a decision is made that change is necessary, then projects will likely take place that involve R&D. Applicable staffing costs, including plant labour for R&D trials. So whatever the original driver of the project is, all the costs associated with the above should be considered for an R&D tax credit claim. Projects driven by process change may be less obvious candidates for R&D at face value. But at a large scale everything must be tested thoroughly. Think about a food firm introducing a robotic arm onto a production line. Probably, the reason for such a process change will be to reduce staffing costs, increase output and improve consistency: all potentially big benefits to production. But before these gains are realised, bespoke calibration of the equipment may need to take place. This could involve, for example, the technical expertise of engineers, consumable costs such as ingredients as they are run through the production line to test for a consistent output. And of course, power and water. Research that ForrestBrown carried out in 2016 showed that business leaders are much less likely to consider a change to an existing product or process as R&D, when compared to developing a new product or process. This understanding is incorrect. So in the case of the food and beverage industry, changing a recipe to, say, reduce the sugar content by 25% could be a major project that would qualify for the R&D tax incentive. The cost of ingredients when experimenting with different formulations, staff costs and energy costs will all likely be applicable to the claim, with up to 33p in the pound being on offer as a tax credit. ProperMaid are a client of ForrestBrown. They supply food retailers with innovative cakes made with ‘proper’ ingredients, mainly sourced from Yorkshire, and artisan production methods. They have even featured on Dragon’s Den gaining offers from two dragons before accepting the offer from Deborah Meaden. Two of their R&D projects that we have worked on are excellent examples of R&D in the food industry. The first was driven by the commercial decision to expand out of their largely local markets. The challenge that ProperMaid had to overcome was that their cakes, made from fresh ingredients and without additives or preservatives, deteriorated to an unsatisfactory level when distributed over longer distances. ProperMaid’s solution, was to develop a ‘Fresh to Frozen’ range for distribution via Ocado. To achieve this, ProperMaid had to deploy staff, experiment with ingredients and use energy (gas and electricity) – all qualifying costs for R&D tax credits. Areas of research included working out the optimum temperature of freezing (including freezing in stages), trialling fat and liquid content to manage taste and texture consistency and ensuring ice crystals did not form. Additionally, they had to ensure that the products were robust enough to be defrosted in different conditions. i.e. while they could rigorously control the freezing process, the consumer – at home or in a small business – could be defrosting within a wide range of conditions that could affect the cake. They wanted to minimise the potential for adverse effects. The second project involved developing gluten-free products. As we explored in this piece, free-from products, including gluten, are a rapidly expanding market. In the case of gluten, it is thought that 1% of the population has coeliac disease, meaning they have to avoid gluten. ProperMaid wanted to develop a cake range to cater for this market. When developing a gluten-free cake there are numerous technical challenges that need to be overcome – in doing so there is the potential that some of the costs can qualify for R&D tax credits. In the case of the ProperMaid project, these included developing recipes with gluten-free ingredients that have acceptable texture and taste standards; ensuring a cake is structurally sound and will not fall apart; testing the cooking process to make sure the cakes cook evenly; dealing with changes to the availability of ingredients. All of which come with costs that represent qualifying expenditure for the government R&D tax incentive. Another important consideration in the food industry, and relevant to this project, is scaling up. It is one thing developing a recipe on a small scale, but significant further testing is usually required to ensure it can be reproduced using mass production techniques. This includes guaranteeing that the cakes are gluten-free, even if wheat-based products are being produced in the same factory. These examples demonstrate how apparently everyday projects in the food and beverage industry can qualify for R&D tax credits. Food for thought for producers who haven’t explored the incentive! Beyond meeting ever-changing consumer demands and market pressures, R&D is also employed to solve global food problems. It’s an example of just how valuable the efforts of commercial and academic R&D is to us all. And why the UK government (amongst others) is so keen to incentivise it with R&D tax credits. In the developing world there are immediate and grave issues. Swathes of starvation across sub-Saharan Africa and parts of Asia. Pressure on food prices from a growing trend towards meat consumption in China. We often think of R&D in terms of a section of a business plan. But what about its role in solving some of these big issues? Let’s take a look at some exciting developments. One of our age-old struggles with the growing environment – aka farms – has been controlling external factors: water, sunlight, pests. This has prompted the Japanese arm of GE to conduct some very interesting R&D. The goal is an indoor farm. And technological advances are making it a reality. 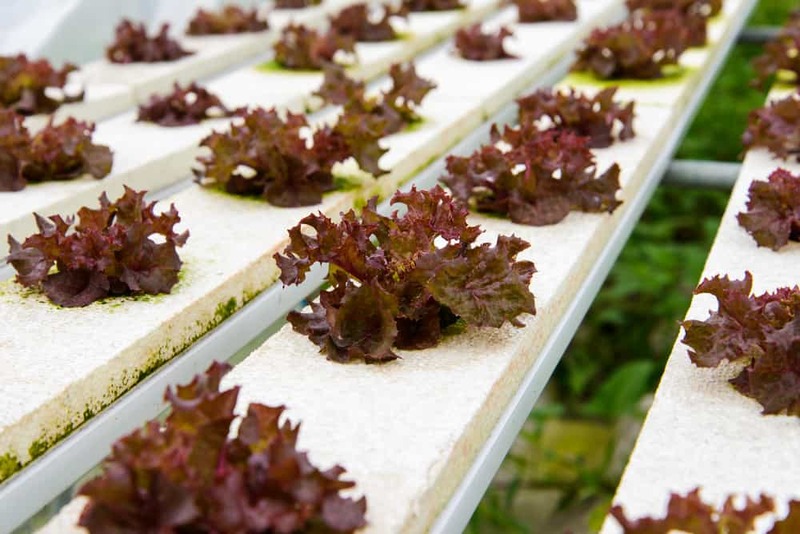 Led by physiologist Shigeharu Shimamura, the groundbreaking indoor farm – which is about half the size of a football pitch – can produce 10,000 lettuce a day. Development in LED light technology is one of the key drivers of this project. It enables the farm to not only control, but optimise light, heat and humidity; while the water required to grow the crops is a staggering 1% of what would be required in an outdoor field. What’s more, the internal environment provides the perfect barrier against pests. This example of thinking ‘inside’ the box could solve a lot of problems. Although sadly it may still be difficult to set up such an operation in the areas that most need it – like parts of Africa – because of the infrastructure required. 50% of current global food production relies on the use of NH3 (ammonia) based fertilisers. And Ammonia and Urea will be a key part of increasing agricultural yields. An increase that has got to happen to feed the growing global population. But what about the environmental impact of chemical production? Production of these fertilisers is a heavily industrialised process. For instance, 5% of all global natural gas consumption goes into producing Ammonia. And then Ammonia and Carbon Dioxide are combined to produce nitrogen-rich Urea. English based ITM Power is leading a consortium of stakeholders including the Waitrose Farm to substantial decarbonise production. Their cutting-edge solution involves electrolysis of water using renewable energy. Research and development in this area could lead to significant environmental benefits for the UK and the whole world as increasing pressure is put on resources. Both GE and Philips are investing considerably in the technology due to their expertise in LED lighting solutions. Globally, it is said that we do not have a food shortage problem, but a distribution problem. The world actually produces three times the required calories to feed everyone! The problem is getting the food to the right people and at affordable prices. According to the Swedish Institute for Food and Biotechnology, developing countries lose 630 million tonnes of food every year. Reducing this food loss is going to be a big part of the solution to global food security. It is such a big area to address, encompassing, for instance: packaging, storage and transportation. The strategic plan goes into detail around a number of example research areas which would likely contain qualifying R&D projects. Devon-based refrigeration specialists Frigesco developed a patented, flash defrost system in response to the fact that 30% of the UK’s refrigeration power consumption comes from retail display cabinets within supermarkets. Widespread adoption of the Frigesco system in supermarkets across the UK would result in CO2 savings of over 230,000 tonnes annually. The innovative defrost system is practically energy free, utilising a small thermal store to store waste heat, which is then used to defrost the system utilising a thermal syphon. Lab tests have demonstrated that 40% savings in energy consumption are achievable. The technology has amassed a fleet of industry awards. US-based Promethean Power Systems teamed up with Indian company Iceling to tackle food distribution problems in developing countries head-on with technology. They have been developing solar-panel and thermal battery-powered refrigeration to aid the transport of fresh milk from farm to market. Barriers to entry within the commercial refrigeration industry have made the widespread implementation of more efficient systems difficult. Equipment is frequently provided free of charge by a bottler or vending machine operator, with little incentive to consider high efficiency equipment, as they’re not responsible for the energy bill. For supermarkets, energy costs form a significant portion of their operating costs, and as a result they have been vital in driving adoption of emergent technologies. Problem five: what to do with food waste in the developed world? According to the Swedish Institute for Food and Biotechnology, developed countries waste 670 million tonnes of food every year. Comparable in quantity to the amount lost by the developing world. The key words are ‘wasted’ and ‘lost.’ Because while in the developing world food spoils before it reaches the consumer, in the developed world most of the waste happens post-retail – either unsold stock or excess purchase. Avoiding the wider debate, we are interested in R&D and the issue of what to do with this wasted food. The UK government has a target of a zero-waste economy. That is not NO waste, but that all waste is seen as a resource that is valued: either monetarily or environmentally. Things are only truly thrown away as a last resort. As well as R&D tax credits being on offer for innovative solutions, grants are also available. As a 23-year-old Brunel University student, Solveiga Pakštaitė, developed Bump Mark: a bio-reactive food label that goes from smooth to bumpy at the same rate as the food it is labelling deteriorates. Originally designed as a way to help visually impaired people with food expiry dates, it has the potential to give a far more accurate indication of when food has gone off to the rest of us – replacing the arbitrary printed date with something that is in sync with the food. Could this be one of the answers to food waste in the developed world? With global food issues, high modern standards and market forces that demand an evolving, diverse range of food, almost any new or modified product could trigger extensive research and development. If you have a new product in development that could help the world grow more – or waste less – food, speak to ForrestBrown today. Our tax team and sector experts come together with an eye for detail and passion for innovation to make sure your business receives the maximum benefits. If you are spending money developing new food and drink products or modifying existing ones, why not pick up the phone to ForrestBrown? We can help you evaluate whether your activity counts as R&D under the tax incentive. Or, if you are already claiming, use our expertise to ensure you are including everything for which you are eligible.